According to MarketingMetrics, companies have a 60-70% chance of selling more to an existing customer. But many marketers overlook this opportunity and solely focus on acquiring new customers. Since customer marketing isn’t a well-defined department, we’ve asked six customer marketers to share their experiences. Cristan Brown of Vision Critical is up first. First, here’s a little bit of info about Cristan: Cristan Brown leads a Toronto-based Customer Success team atVision Critical, a customer intelligence platform that helps more than 650 global organizations build engaged, secure communities of customers they can use for ongoing feedback and insight. Cristan has a strong focus on customer engagement, retention and growth. 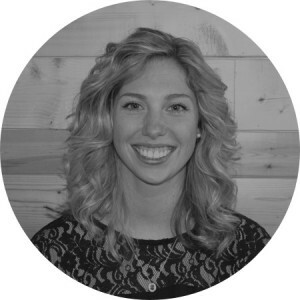 She has a master’s degree from the University of Guelph in Marketing and Consumer Studies. Is someone responsible for customer marketing within your organization? Who’s responsible for customer expansion such as cross-sell and up-sell opportunities? CB: We have a newly assembled team of dedicated marketers who are focused on creating content and materials for our customer-facing teams. Their work supports the Customer Success teams as well as the Sales teams, which includes a specialized team of Expansion Sales members whom are solely dedicated to cross-selling and expanding within our install base. The Customer Success teams play a key role in cross-selling and up-selling as well, as we are focused on uncovering opportunities. We find solutions to our customer’s challenges within their organization as it relates to customer insights. What have been the most successful campaigns or tactics you’ve used to grow revenue from your existing customer base? CB: The most important thing we have done as a team in Customer Success is start to ask questions, and lots of them. We challenge our customers to think about the way they do business and develop strategies to infuse the voice of the customer into their decision-making process. In terms of true marketing campaigns, our marketing team has done a phenomenal job of promoting the “Empowered Customer” throughout the field. Vision Critical’s customers recognize that their own customers hold the power. Our solutions allow them to reach out to their customers in an efficient, on-going and meaningful way. CB: If I was looking for a new member of the Customer Marketing team, I would hope that they would have worked as a customer-facing team member in the past. If they had that experience, then it would allow them to quickly understand what the customer-facing teams may be challenged with, from a management standpoint, on a daily basis. This experience would provide more context for them in their work and allow them to quickly collaborate with our teams. Additionally, I would want to see someone hired who has passion for our products and the tech industry as a whole. I believe that their work would reflect that internally and to our customers as well, making it more meaningful and relevant to our customers and prospects. CB: I believe that each member of our organization has a responsibility to help one another achieve their goals, and our company goals overall. When we all row in the same direction, amazing things happen. It is a goal of mine to see Marketing and Customer Success become more and more integrated as our company rapidly grows. Customer Success wears many hats and Marketing is surely one of them. We are the frontline of the company to our customers and the face of the brand to many. As such, it is in our best interest to work with the team that creates content for our customers and prospects, so that we are armed with the most interesting, relevant and meaningful information for our customers. Our customers rely on us to provide them with best practices and ways of thinking, so to not partner with Marketing, which is constantly creating and publishing new content around this, would be doing them a disservice. Customer Success in its name implies that we will ensure that our customers become successful, and without partnering with the Marketing department that would be difficult to achieve. Stay tuned for our next Q&A with another great customer marketer!